Memorial day weekend is coming up! Time for endless barbecues, street fairs, and strolling on the boardwalk with family and friends. It’s the mark of the beginning of sun bathing weather! But most importantly, Memorial Day is a time to honor and reflect on war heroes who’ve lost their lives fighting for our country. It began after many soldiers died in the American Civil War. Families of these soldiers thought they should be recognized for their hard efforts and right they were. 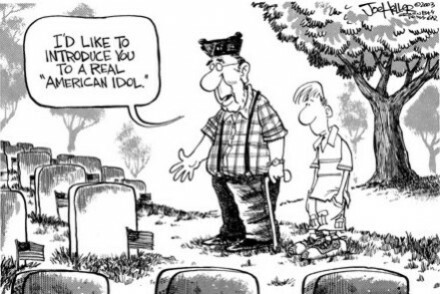 This later expanded to all people who served and died during their time in the military. It’s very important to teach your kids what has occurred in the past and how our lives have been affected by it. 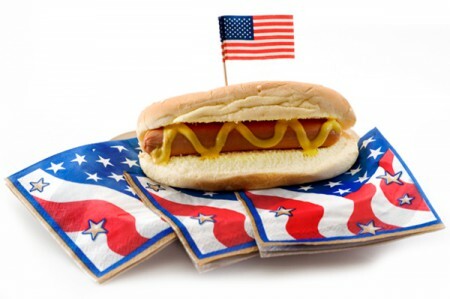 Having a barbecue in your backyard for the holiday weekend? 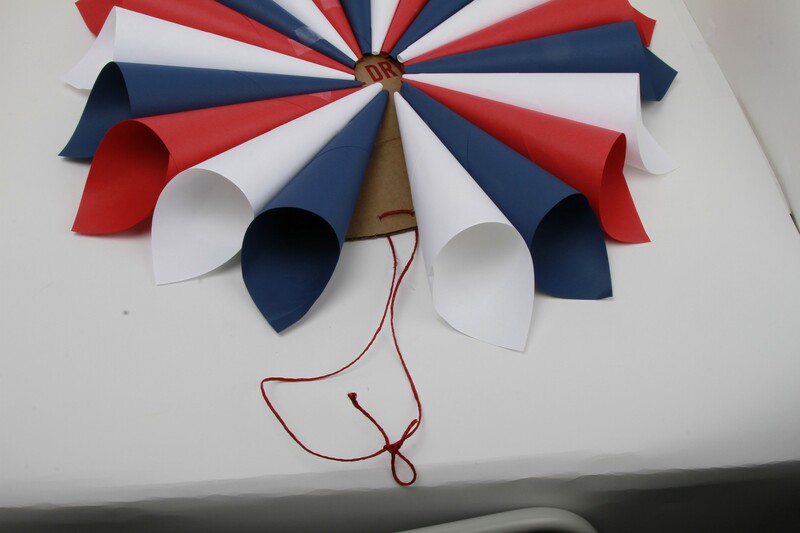 Teach your kids how to make a patriotic wreath! 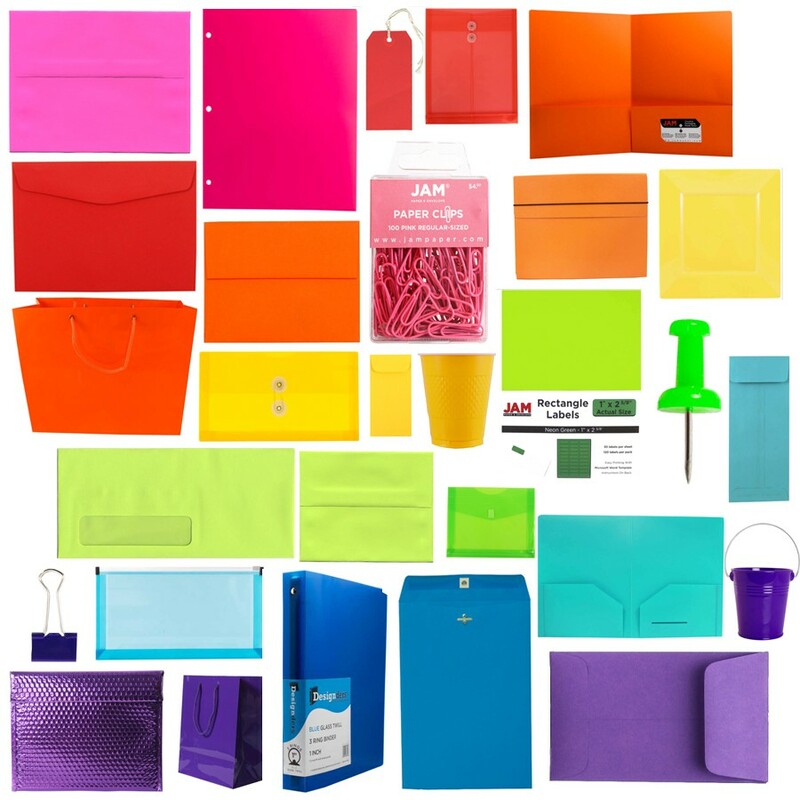 The kids will love making something they can immediately show off to all their friends and relatives who come for a visit. 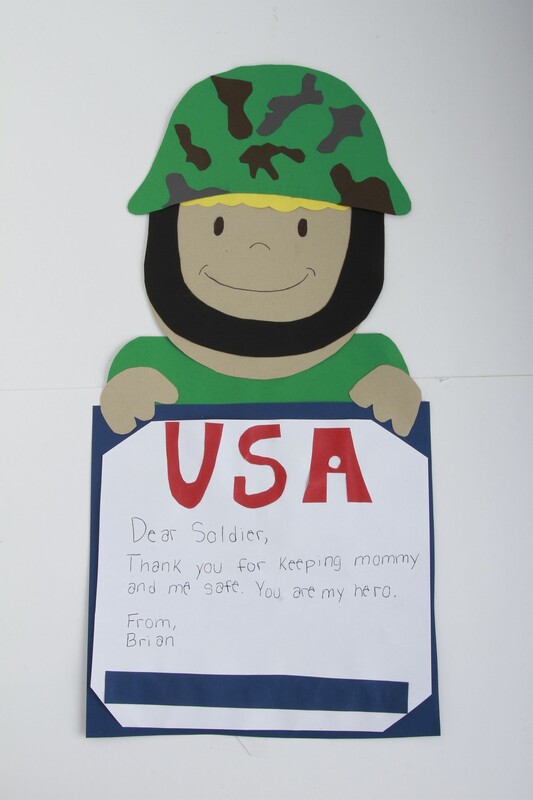 I stumbled across this cute paper craft on Spoonful. 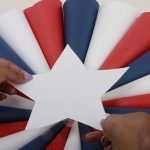 I think its perfect for Memorial Day & 4th of July. It’s fun to do and simple as ABC! 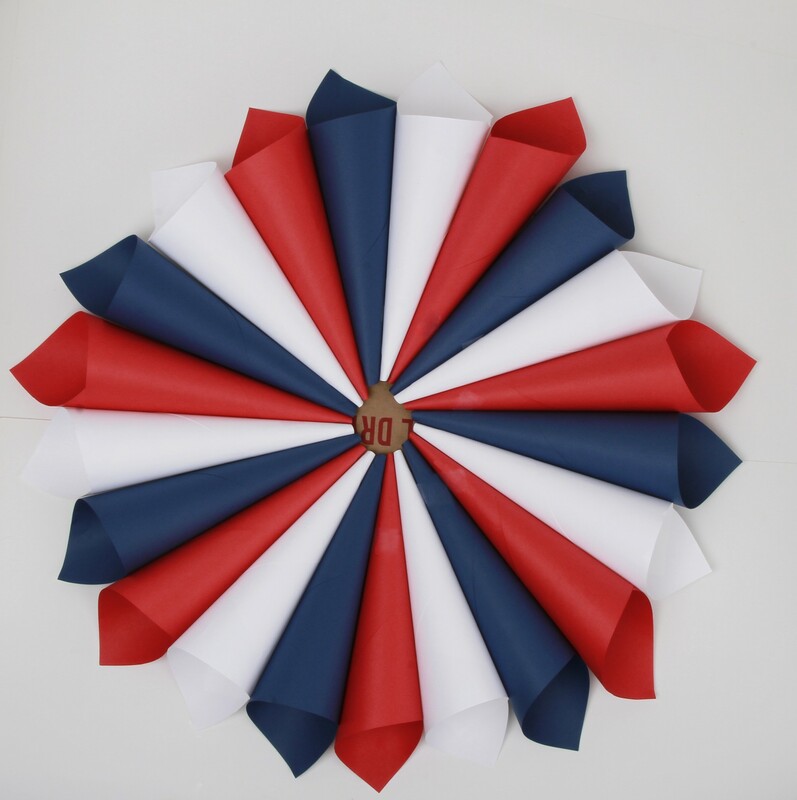 The steps are a combination of our flower cones and Captain America shield. This mini project will look great hung on the front door or in the backyard. 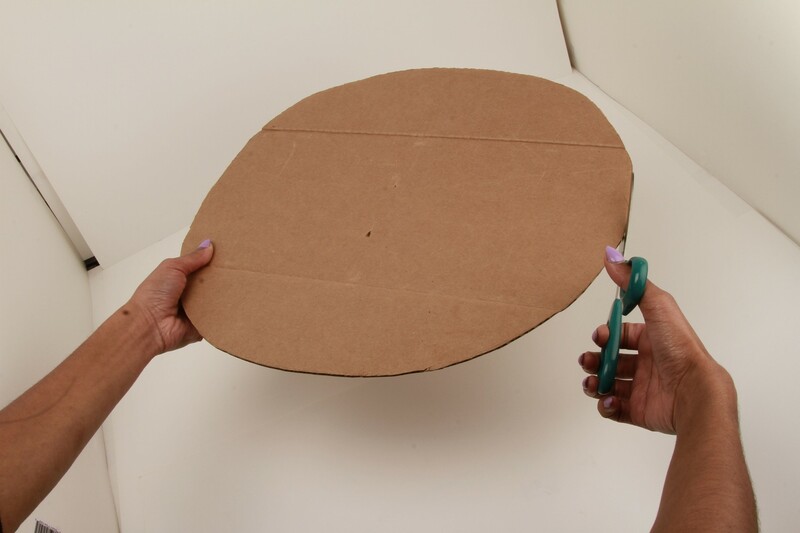 Cut a circle out of cardboard. 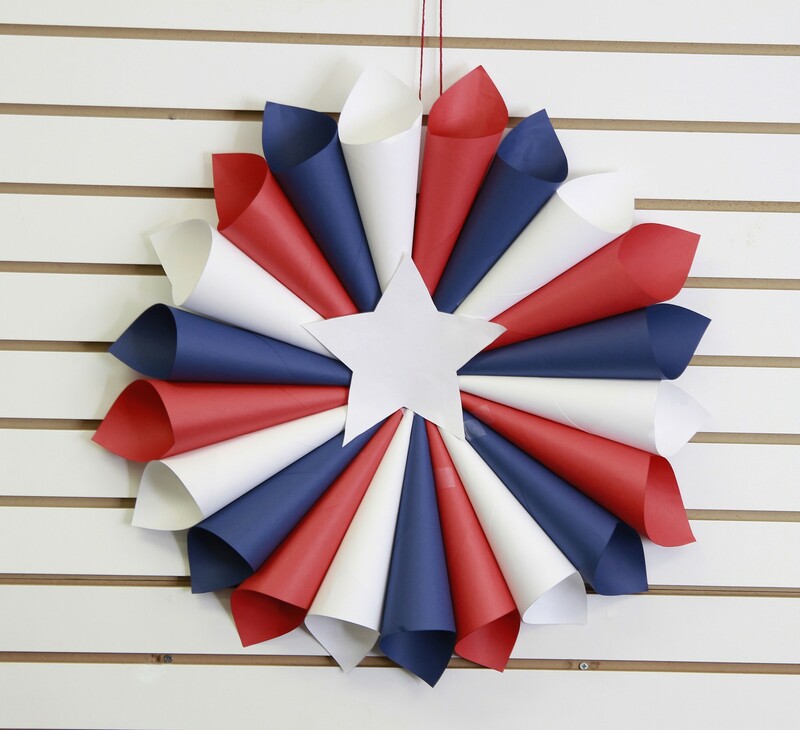 You can make your wreath any size you’d like. 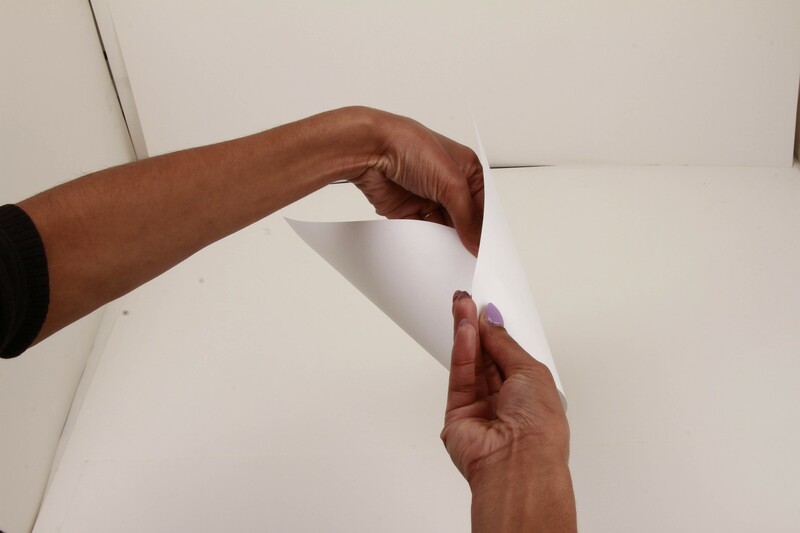 This step should be completed by adults, cutting cardboard can be tough. 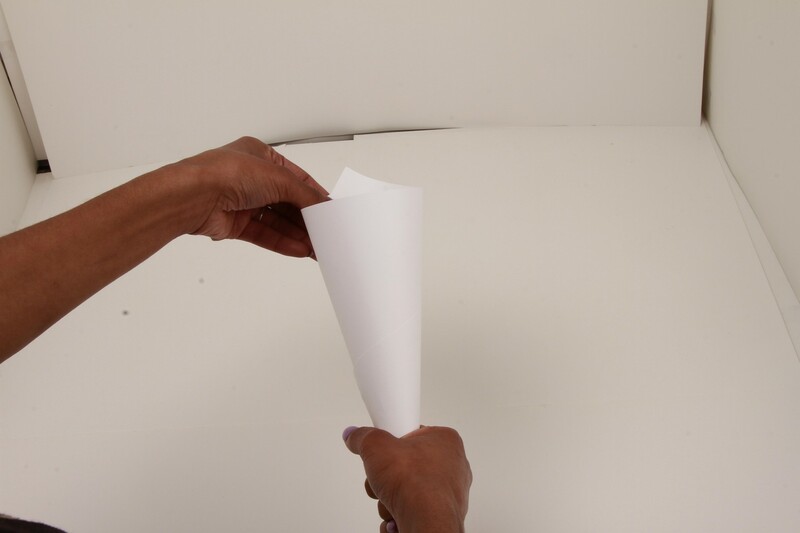 Time to make your paper cones! Your kids will love this part. Make as many as you need to cover your cardboard. 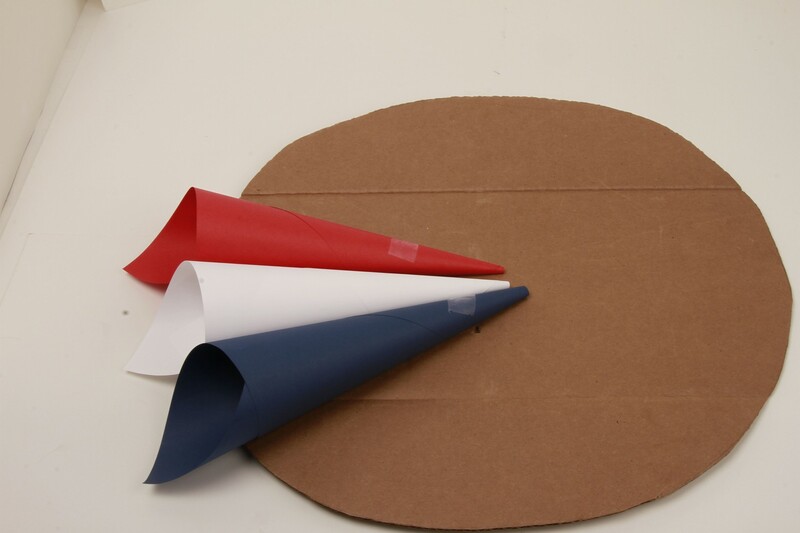 Arrange the cones in red, white, & blue then glue them onto the cardboard circle. I used tape but glue is the better choice! To hang your wreath up, punch two holes at the top of your wreath. Tie string through the holes. 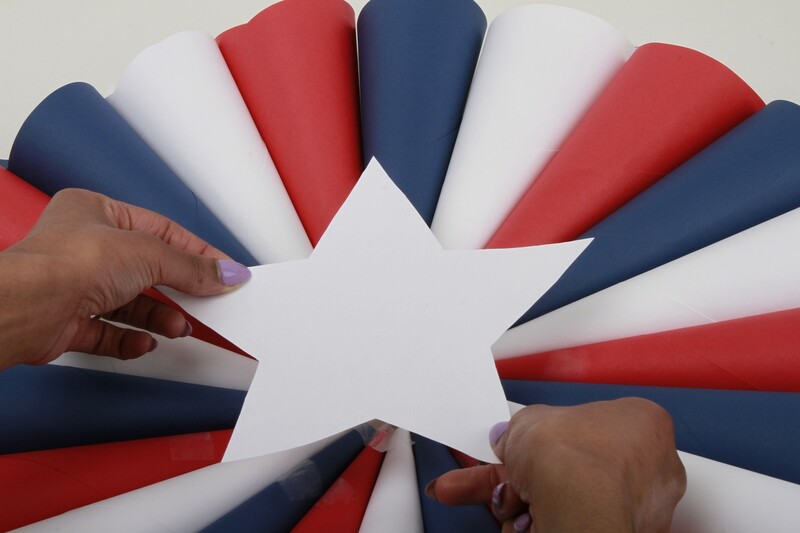 For a finishing touch, trace or draw a white star then tape it to the middle of the wreath. It also covers the tape! Find a place to hang your wreath! Alicia specializes in Inbound Marketing and business planning. This kind of reminds me of Captain America, so of course I love it! This is so creative and cute!